Many case examples in the mobile market have indicated that the success of mobile services (e.g. Internet browsing, email messaging or streaming video playback with mobile phones) is difficult to predict. Different factors serve either as drivers or bottlenecks in mobile service adoption. The present chapter has covered earlier research on mobile service adoption and utilized a newly developed handset-based mobile end-user research platform in obtaining data from 548 Finnish panelists in 2006. The main research goal is to understand the process of mobile service adoption by extracting new kinds of data straight from handsets. In addition to descriptive results, a path analysis model is developed that explains mobile service adoption contingent on a given set of explanatory variables. The chapter finds that user intentions have a strong impact on consequent adoption of the service. What is more, perceived hedonic benefits from the service are the strongest factor driving user intentions to use the service. The perceived technical capability to use the service and the role of the surrounding social network explain little why early-adopter kind of independent users intend to use services. Interestingly multimedia services are strongly driven by newer more capable handsets and mobile Internet browsing benefits significantly from block or flat-rate (instead of usage-based) pricing plans for transmitted data. The chapter develops several indices that measure time-varying characteristics of mobile services. Calculated indices for a set of mobile services in 2006 suggest that different mobile services are currently experiencing different phases in their life cycle. Mobile services have evolved quite a lot from mere communication oriented services (circuit-switched voice, text messaging, voice mailbox) to today’s multimedia, content retrieval, browsing and other advanced services. The mobile Internet (see Funk 2004) is emerging and the IP-based service delivery is likely to hit the mobile mass market domain very soon. Overlay networks existing already in the Internet (Clark et al. 2006) may have spill-over effects to the mobile industry. The mobile Internet scenario contrasts sharply with the dominant, vertically-oriented way of doing mobile business (see e.g. Karlson et al. 2003, Verkasalo 2007a and Vesa 2005). The emergence of the mobile Internet is driven by the wide-scale adoption of smartphones (i.e. converged devices) along with improvements in both cellular (GSM and 3G) and alternative (e.g. WiFi) radio networks. In terms of data services the same service evolution trends have been seen in the “wired” Internet earlier that can be seen in the mobile domain today. For example, the movement from messaging data services to static content (Web) and further to multimedia streaming can already be seen in mobile service studies (Verkasalo 2007b). Amidst the rapid evolution of the mobile industry many commercial service failures have taken place. It is difficult to pinpoint the reasons behind successes and failures. Typically not one but many issues affect the adoption of a particular mobile service. The reasons can be categorized into two main categories. 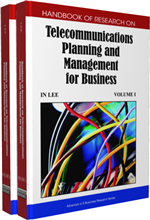 First of all, a commercial/technical perspective includes issues that relate to marketing, positioning, developing, implementing, delivering and timing of the mobile service. These factors include e.g. demand forecasting, pricing, positioning of the service in the service provider’s service portfolio, promotional activities, creation of end-user awareness, service quality management, and strategic push of the service in the value-chain (i.e. distribution management). These factors are called as technological or business strategic in Pedersen (2001). Second, the end-user perspective deals with end-user related factors driving or inhibiting service adoption. This perspective is called as behavioral in Pedersen (2001). Factors under this perspective include e.g. service usability, social pressure, network externalities, contextual environment, consumption choices, the user’s motivation and technical capabilities. The first perspective deals more with the producer side of the market whereas the second perspective deals with the demand side of the market. Drivers and bottlenecks for service adoption might emerge in either domain. Even though many potential factors explaining successes and failures of mobile services can be identified, it is often difficult to test hypotheses in practice. No suitable empirical research approaches have existed earlier to provide actual usage data to study the dynamics of mobile service adoption. Accurate data from end-users can be nowadays acquired with a handset-based mobile end-user research platform that was introduced in Verkasalo & Hämmäinen (2007). The new platform provides accurate usage statistics along with flexible tools to deploy questionnaire studies. The present chapter attempts to provide descriptive results on mobile service adoption with data from Finland 2006. In addition, a path analysis model is built explaining the main drivers and bottlenecks of mobile service adoption based on empirical usage data and questionnaire studies. Mobile Internet: Internet for new packet-switched mobile data services. The first mobile data services were hyped quite a lot in the public in the late 90s, but in practice the mobile Internet has not kicked off yet. Technology Acceptance Model (TAM): TAM models how users come to accept and use a technology. It distinguishes two concepts. First, the perceived usefulness reflects the expected benefits from using a certain technology. Second, the perceived ease of use reflects pretty much the same thing as the perceived behavioral control in the theory of planned behavior.